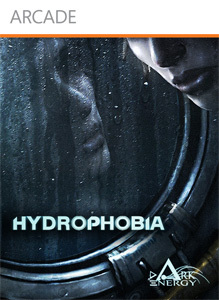 "Hydrophobia™ is an experience unlike anything you have played before. This jaw dropping technology models flowing water which behaves completely realistically, resulting in the most dynamic and dramatic gameplay you’ve ever seen. Engage in mind blowing “flow combat” where emergent gameplay results in a never-the-same-twice experience. Unleash floating oil fires, electricity and the power of the water itself to wipe out your enemy as you discover the terrifying truth of the Malthusian agenda; Save the World, Kill Yourself."